NEW & REVISED!!! ARP has released a new version of their race-grade M3 connecting rod bolts and its better than ever before. ARP connecting rod bolts use a new super-alloy material called "Custom Age 625 Plus" that is over 30% stronger than the previous chrome moly. 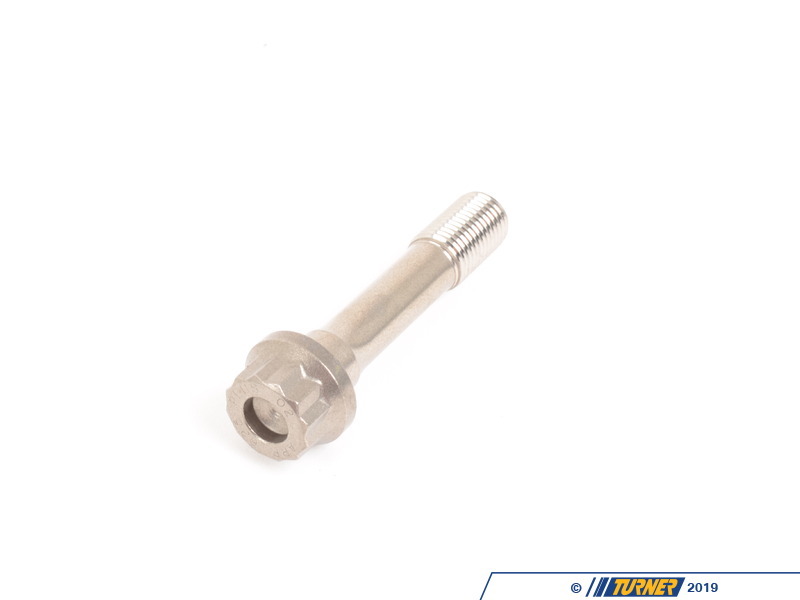 ARP S65 connecting rod bolts are precision CNC-machined to exacting specifications and designed for optimum reliability and designed for the endurance racing environment. 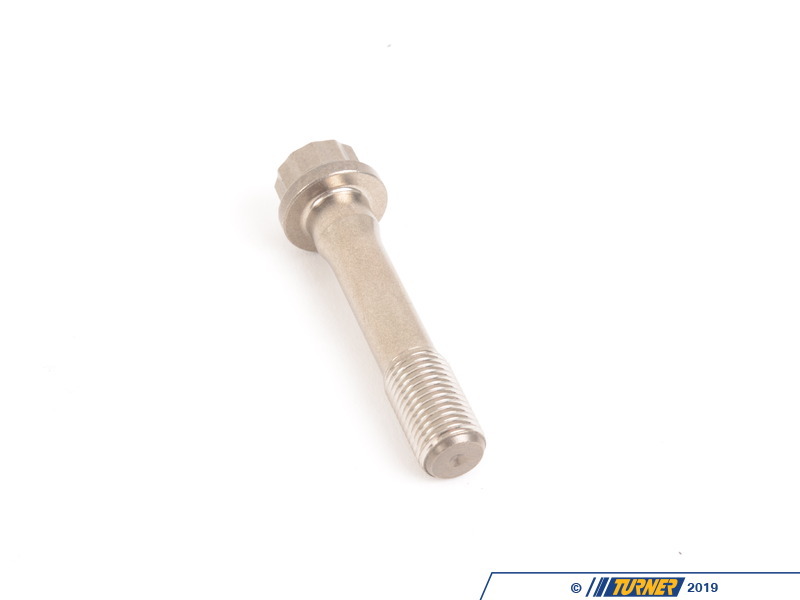 These rod bolts are heat-treated with threads which are rolled to provide up to ten times more fatigue strength. If you're replacing your rod bearings these rod bolts are far superior to standard the OE BMW fasteners in terms of durability and ability to withstand stresses. 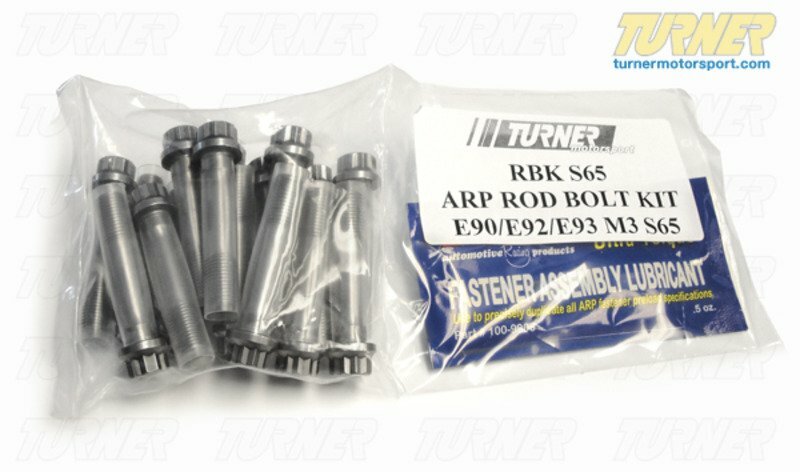 This set of rod bolts is made specifically for the S65 4.0 liter V8, as found in the 2008-2013 M3 and replaces the previous ARP kit part number RBK_S65. This newly formulated super-alloy demonstrates superior fatigue cycle life, tensile strength and toughness with complete resistance to atmospheric corrosion and oxidation. ARP is the first to develop manufacturing and testing processes for fasteners with Custom Age 625+. Best of all it is less expensive and expected to soon replace MP-35 as the material of choice in the high strength, super-alloy field. Typical tensile strength is 260,000-280,000 psi. Custom Age 625 Plus exceeds the strength of 8740 Chrome Moly or ARP2000 spec, with a yield strength of 235-255,000 psi and tensile strength of 260-280,000 psi. 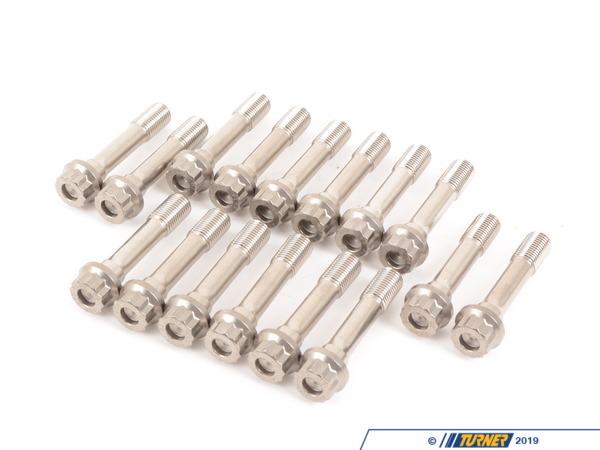 ARP fasteners are used widely in motorsport and drag racing with naturally aspirated and forced induction setups. These are simply the best connecting rod bolts available.